Unfortunately, bugs are a fact of life, and your app will probably crash occasionally in the wild. But, there are a few nifty tools to help you debug them after the fact. I wrote about Little Watson a while ago, and while it's helpful, it does require the user to send in a report. Microsoft provides data in the Windows Phone Dev Center that doesn't require the user to do anything - here's how to use it! For the app you're interested in, click on the number next to it - in this case we're going to be looking at FlightPredictor. 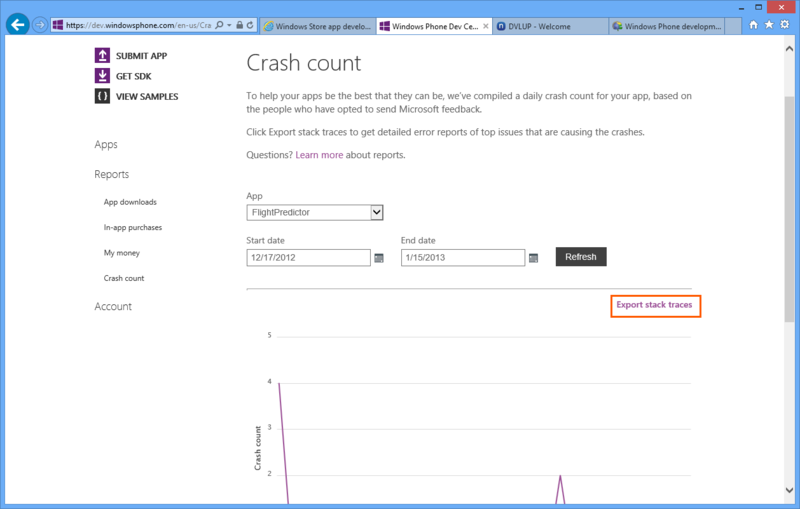 Click on "Export stack traces" - this will download and open an Excel file with the crash data. Go ahead and click the "Enable Editing" button at the top. Most columns you see should be pretty self-explanatory. Note that "Mango" is OS 7.5 and "Apollo" is 8.0. The call stacks are grouped together - you can see in my example that the top row has 2 crashes, so it's the most common one. 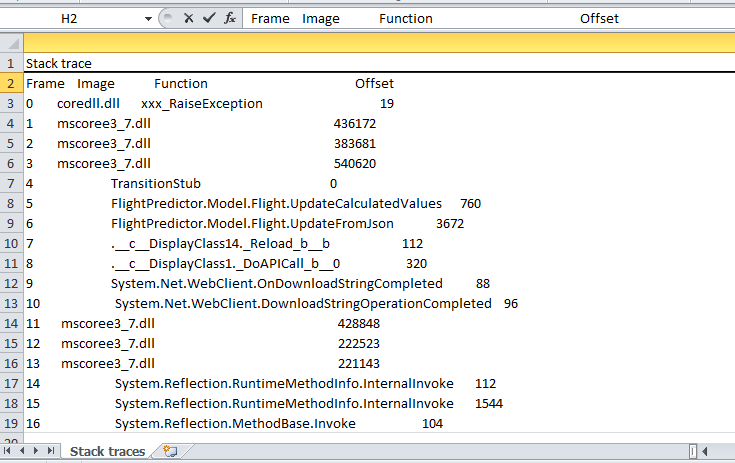 So we can see the most recent call in the stack is FlightPredictor.Model.Flight.UpdateCalculatedValues(), and hopefully the call stack will help you track down why the app is crashing. 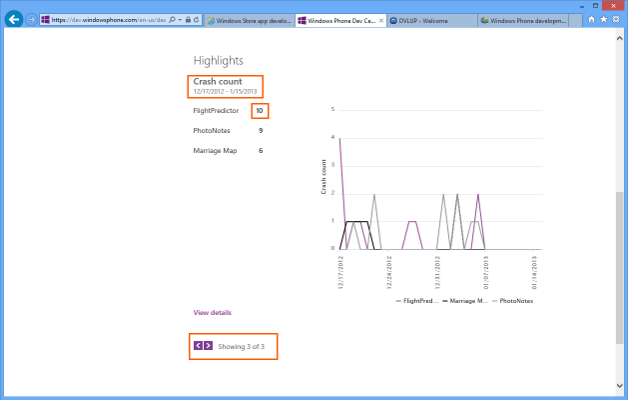 I tried to use the offset to find what line of code the crash is happening on, but I couldn't make it match up with IL offsets or native offsets (see this MSDN thread). I'll update this post if I find out how to make it work.